Great for drywall, plywood, paneling and glass. Cutout back allows for easy manuverability through doorways. Up to 3000# capacity on all models. Includes 3-swivel casters and 1-locking swivel caster w/plastic non-marking round shoulder wheel. 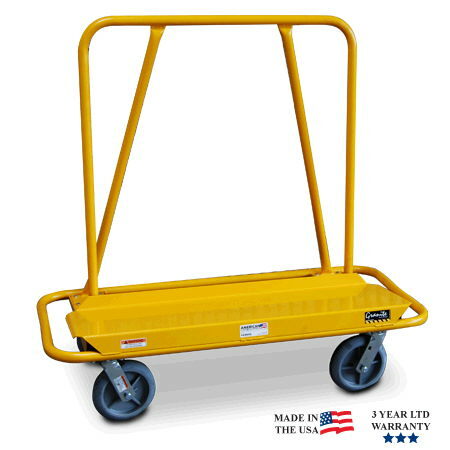 * Please call us with any questions about our drywall cart dollies in South Chicago Heights IL and Highland IN.